Visit one of the world's largest teakwood structures at Vimanmek Mansion, an early 20th-century complex known for its lush gardens. 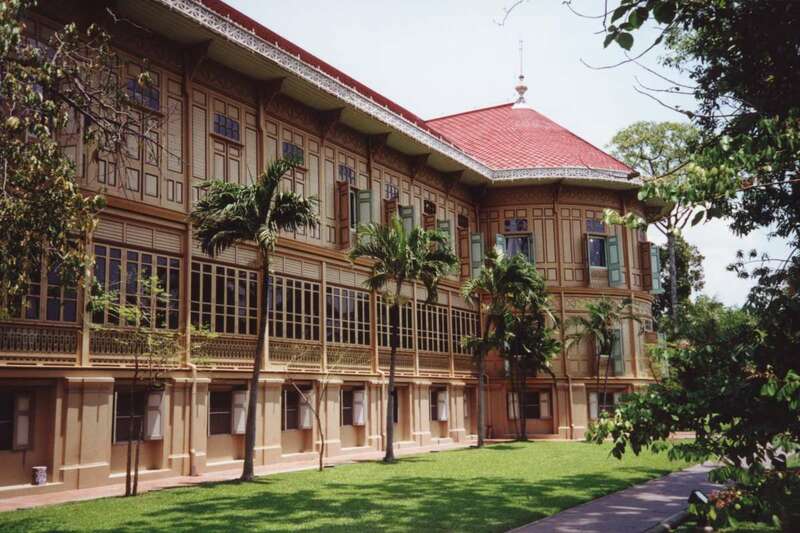 Built in 1900 as a royal palace, the mansion once provided a home for King Rama V. Renovated in 1982, the palace now commemorates the king's life and displays his photographs and art collection, as well as other Thai national heritage artifacts. Guided tours in Thai and English are available. Remember to dress conservatively when visiting this site--inappropriate clothes include shorts, ripped pants, and T-shirts. To visit Vimanmek Mansion on your holiday in Bangkok, and find out what else Bangkok has to offer, use our Bangkok trip itinerary tool . I wish I could even endorse this one pitiful star. Negative five stars would be more fitting. We planned an entire day trip around these grounds. The ENTIRE AREA IS CLOSED and fenced off with massive walls so that nothing is even visible. Atrociously disappointing. Good luck.